Are you thinking about selling your home? When you sell a home, in most case, there will always be a home inspection and with a home inspection, there could be costly repairs request. Best get ahead of the home inspector and know what a home inspector will be looking for. Fixing any items prior to a home inspection cansave you lots of money afterward. Once a home inspector identifies an issue, the buyer will be asking for repairs by a licensed contractor. Even if the item could easily be repaired by the seller. Here is a previous blog post on how to get your home ready for a home inspection. The inspector will look at everything. When I meet with home sellers I normally take a look at the house and give them some tips. Home buyers and their agents can normally tell if a home has been well-taken care off or if a home owner has been lacking on regular maintenance. The better the condition of the home generally the higher the sale price or faster an offer will come in. A buyer doesn’t want to be stuck with expensive maintenance tasks after purchasing a home. A home seller can always get a home inspection done prior to listing the home, but keep in mind that the buyer will be doing their own inspection regardless. 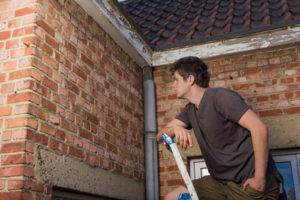 Yes, you can definitely pay a home inspector to inspect your home prior to listing the home. Once the home inspector inspects your home you have a to-do list. You have been living in your home and you probably know what’s working and what’s not working you can use the above list and save yourself the money for the inspection. You can also ask your trusted contractor to look at the above items and making sure everything is in good condition. Considering selling your home and you are in the beginning stages you might be interested in finding out what your home is worth. You can find out what your home is worth right here: What is my Home worth? Or you can call Claudia S. Nelson and her Real Estate Team at 571-446-0002 to find out more about the home selling process and what your home is worth in today’s Real Estate market. Claudia S. Nelson is an award winning Realtor® with Keller Williams Realty in Woodbridge VA. She has helped many local home sellers and home buyers with all their Real Estate Needs. If you are looking to sell or buy, in and around the Woodbridge VA area you should call Claudia and her team at 571-446-0002. We are looking forward to assisting you. Posted in: Selling a Home Tagged: When selling a home what does the inspector look for?